If the integrity of your car windows has you feeling concerned, call on the highly trained experts at National Windscreens for mobile car window services in Clermont. We can additionally provide assistance for locals in the nearby areas of Kilcummin, Wolfang, Lowestoff, Capella, The Gemfields and Gordonstone. 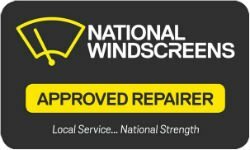 Wondering why you should choose National Windscreens for windshield repair and replacement in Clermont and surrounding areas? Look no further than National Windscreens when you need windscreen repair or windscreen replacement services in the Clermont region. Contact us now to make a booking or learn more about how we can provide assistance.